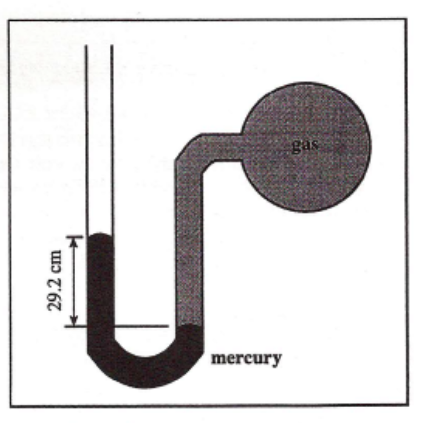 An open-ended mercury manometer is used to measure the pressure exerted by a trapped gas as shown in the figure. Atmospheric pressure is 749 mmHg. What is the pressure of the trapped gas?